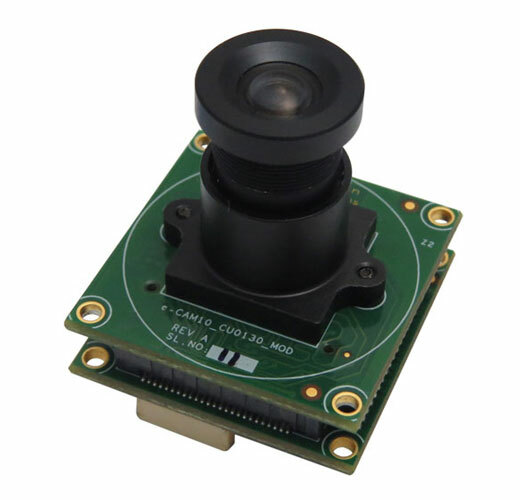 The See3CAM_12CUNIR is a 1.3 MP USB NIR Camera based on the Aptina / ON Semiconductor AR0130CS CMOS image sensor. This Near IR camera has S-mount lens holder for enabling the users to choose the lens and any spectral filter as per their requirements. 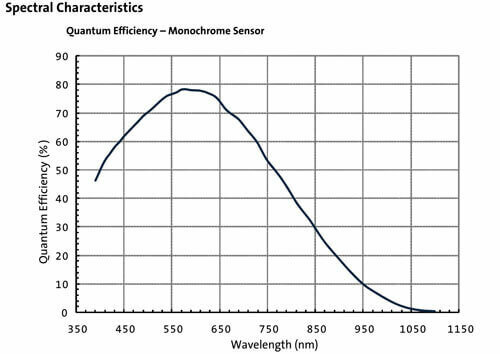 The low light sensitivity and the excellent NIR efficiency makes the Monochrome Near IR Camera, See3CAM_12CUNIR an ideal solution for Day/Night Vision Surveillance applications and NIR Imaging in medical and biological applications. 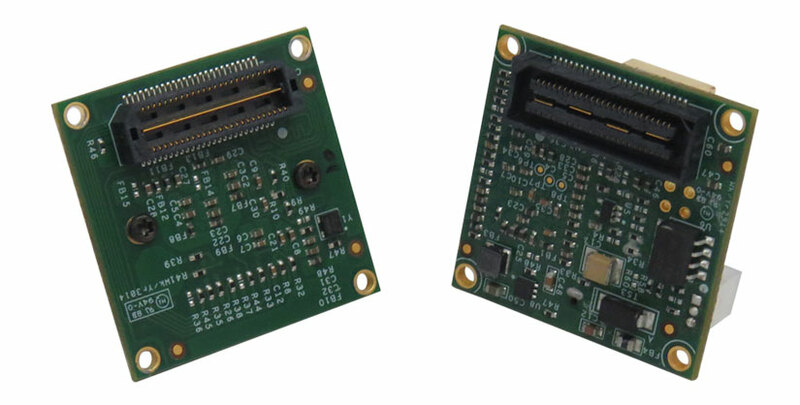 This See3CAM_12CUNIR is a UVC-compliant USB 3.0 SuperSpeed Camera that is also backward compatible with USB 2.0 host ports and does not require any special camera drivers. The See3CAM_12CUNIR is capable of supporting 720p60 (HD) , 1280x960 resolution at 45 fps and 640x480 binned at 45 fps with the pixel depth of 12-bit monochrome data when interfaced to a USB 3.0 host port. 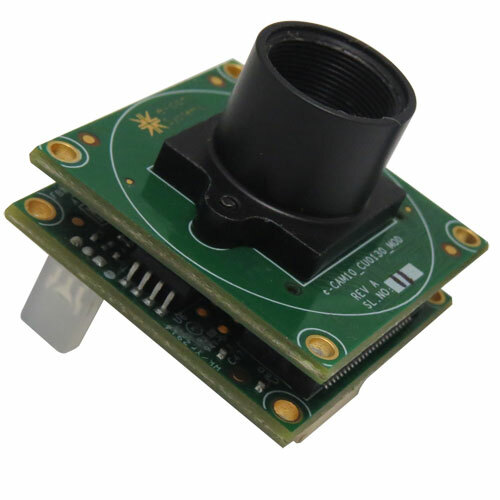 Houses e-CAM10_CU0130_MOD - 1.3 MP AR0130CS NIR camera module. 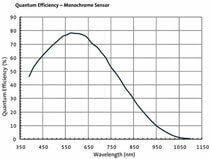 S-Mount (M12) Lens holder for use with custom lenses and custom filters such as NIR filters, IR Band-pass filters etc. Please contact sales@e-consystems.com for any customization requirements. 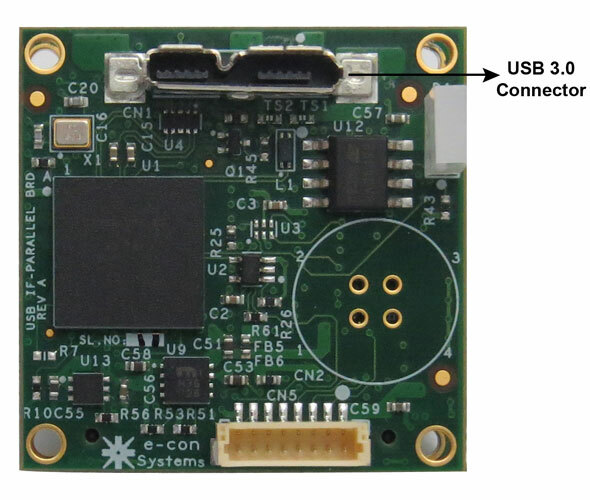 Customers who own platforms that support SuperSpeed USB 3.0 port and are interested in evaluating the 1.3 MP Monochrome USB3 NIR camera can directly buy the See3CAM_12CUNIR from e-con Systems. 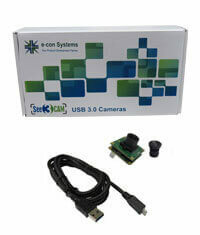 In addition to See3CAM_12CUNIR - USB3 Near IR Camera, the evaluation kit comes with e-CAMView - Windows sample application for video preview and still capture along with the UVC Extension features (for Windows 10, Windows 8, Windows 7, Linux, Android * and MAC **) or QtCAM - sample application for video preview and still capture along with source code (for Linux). Do you want a smaller form factor? Do you want other customization options?